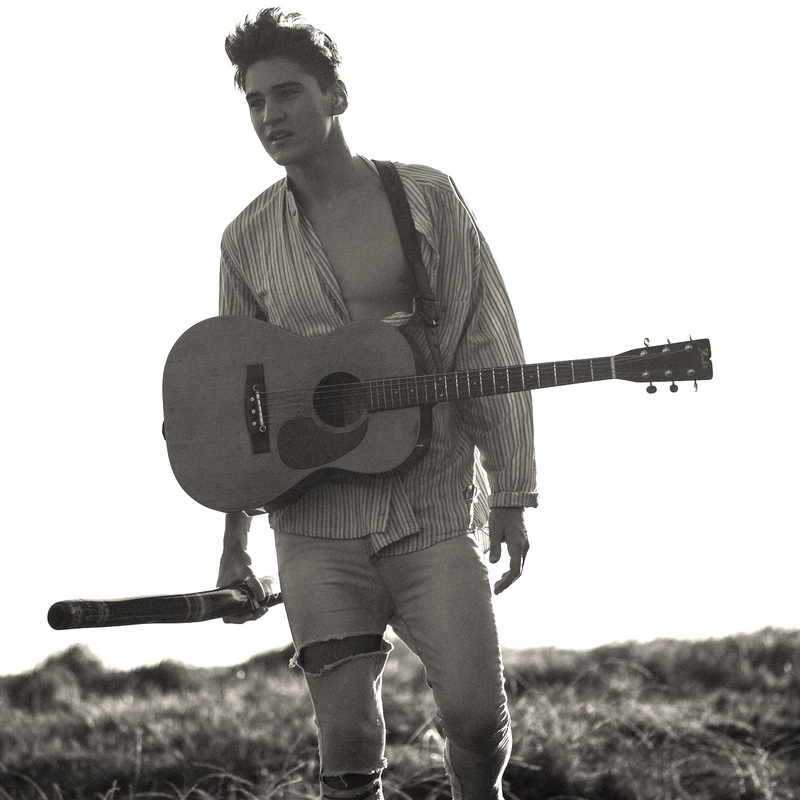 Will Anderson is a talented 19 year old musician who blends modern production with smooth vocals, didgeridoos, guitar and percussion to create a soulful one of a kind sound. "The song is a conversation about loving someone or something and having influential people around you oppose it and and advise against it. It's about letting yourself love who you love and do what you love”. Melbourne, tape loops, synth, beats, reverbs, coffees, laughs, tireds, wilds. Whodeani's an award-losing music writer, ex DJ, producer, and wantrepreneur. In addition to making music, he co-owns and operates WE Music Unlimited, a small electronic music label (via Xelon Entertainment). Summer perfectly captures the essence of reflective longing and loss, the track is both a nod to the past and a hopeful stride forward into the boundless future. A quiet but powerfully felt emotional experience. This first glimpse into Whodeani's new album 110011 offers a gentle requiem from the sound-storm of today’s electronic scene. Whodeani’s new single, "Am I Ever Gonna See Your Face Again" is a modern interpretation of the Angels Oz rock classic. White Shadows - a collaboration between The Vines' Craig Nicholls and Nick Littlemore (Empire of the Sun) - is an immersive celebration of Littlemore's blissed-out pop escapism and Nicholls' confessionals. 'Slip Away' - the second single from White Shadows' debut album 'Secret of Life' - reveals yet another piece of the mystery surrounding Craig Nicholls' latest project. A cosmic cataloging of love lost, simple, yearning lyrics are set over elated chiming effects and synths, resulting in a hook-filled dance anthem. Wrapping up his colossal double headline tour with label mate, A-Trak and game changing set at Splendour In The Grass, Australian producer What So Not is releasing his highly-anticipated EP. Trust is the focus track for What So Not's highly-anticipated Divide & Conquer EP. The track see's the collaboration between BURNS and What So Not come to life for one colossal track. The arrival of his debut album shows, he’s continuing to blaze his own trail, forging a complete vision for what is now much more than just a dance music project. Stuck In Orbit is the second single of What So Not's debut album, featuring vocals by BUOY and co-written by Jono Ma (of Jagwar Ma). What So Not’s anthemic RÜFÜS Remix, his Skrillex and RL Grime collaboration “Waiting” have all been doing the rounds in DJ’s festival sets, coupled with huge international radio support. This deeply personal song not only features legendary rockstar (and Silverchair frontman) Daniel Johns, but What So Not himself writing and performing vocals for the first time as well. From the release of his debut solo EP ‘Divide & Conquer’, to the huge collaboration with Skrillex & RL Grime on ‘Waiting’, becoming the most played song on triple j. What So Not returns with ‘Better’, his first original song of 2017, this time teaming up with LPX the solo moniker of Lizzy Plapinger, of American duo MS MR, Neon Gold Records co-founder and VEVO host. Arguably Australia’s favourite producer, What So Not, and Netherlands beat master GANZ have teamed up for Lone, featuring vocalist/producer JOY. Arguably Australia’s favourite producer, What So Not, and Netherlands beat master GANZ have teamed up for Lone. Featuring vocalist/producer JOY., the song comes alongside What So Not's last minute addition to the Groovin The Moo line up and the announcement of GANZ's 'GAO North America Tour'. Westminster Day Surgery is the solo project of Perth songwriter/producer Mitch McDonald (The Love Junkies). Glitch is the first single from Mitch McDonald's (The Love Junkies) new project Westminster Day Surgery. It's very moody with uncomfortable percussive elements driving the track. Westernsynthetics on Maker: a compilation of electronic music curated by FBi Radio's 100% Sydney music program The Bridge. Widely regarded as a pioneer in the Australian dubstep scene, Westernsynthetics’ productions often stand out as precise, brooding and engaging. The Offensive is the first single of the upcoming album Pianodrumming. Sydney producer Westernsynthetics has supported Skream, Benga, Mark Pritchard, Scuba, 2562 & Distance amongst others. He is widely recognised as a pioneer of the Dubstep sound in Australia. Westernsynthetics - The Machine is a observation an androgynous individual's daily struggle against capitalism. It's also a celebration of their struggle as a worker to stop the cogs of the Machine. The Machine is a vast pallet taking in Dubstep, Techno and Psychedelia. It is also deep and incredibly catchy.